Holy Uncle Fester! Twentyfour years have passed since Addams Family Values, a sequel to 1991's monster-ific hit The Addams Family. There have been various attempts to bring the creepy and kooky creature family back, and no I'm not counting that awful direct-to-video movie in '98. Surprisingly, it's happening now as an animated movie from Conrad Vernon, who last dove into the R-rated world of talking food with Sausage Party. The film is said to be based on The Addams Family's original concept, which was as single panel cartoons by Charles Addams, published in The New Yorker. 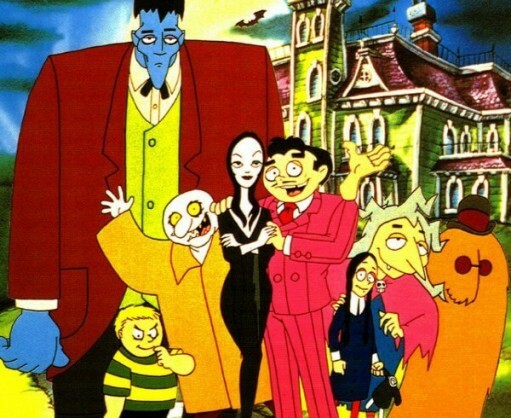 Those cartoons were then turned into the cult favorite 1960s TV series, which then became a hit 1991 film with a flop sequel, and an eventual animated TV series. Pamela Pettler, who had fun exploring horror with the excellent Monster House, will write the screenplay. In 2010 there was an attempt to revive The Addams Family as a stop-motion animated movie with Tim Burton involved. That fell through, and around 2013 plans for a more additional approach surfaced. Really, the only thing that truly matters is who gets to play Wednesday, by far the best character of the bunch. Good luck trying to make us forget Christina Ricci's wonderfully droll performances!